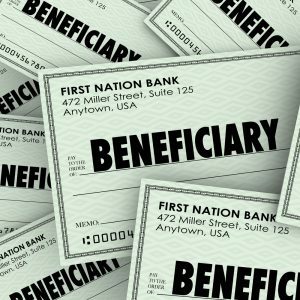 What’s the Difference Between Primary & Secondary Beneficiaries? 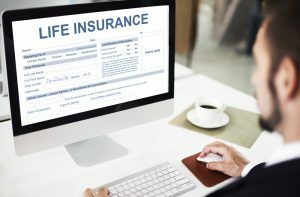 When you fill out important forms with your IRA, 401(k) or your life insurance policy, you may be asked to distinguish between a primary and a contingency or secondary beneficiary. Your primary beneficiary is the individual who is first in line to receive any account assets after you pass away. The secondary or the contingent beneficiary may be eligible to get the remaining account assets so long as there are no other surviving primary beneficiaries when you pass away. If you name your spouse as the primary beneficiary, for example, and your children are listed as secondary beneficiaries, the children will only be entitled to inherit assets if the spouse passes away before you do, or if the spouse does not claim entitlement to those assets. You can designate a charity, trust or another entity as your primary or secondary beneficiary. You may get divorced or experience other life changes that prompt an update in your primary or secondary beneficiaries. When this happens, make sure you do more than contact your estate planning lawyer. While that’s certainly essential for any documents and plans you already have with your attorney, it’s also important to contact your bank and life insurance policy about any accounts where they maintain separate beneficiary info. This is crucial for updating all your materials and ensuring that if something happens to you that everything is recorded accurately. Otherwise, your wishes may not be carried out. Make sure that you talk to your estate planning attorney to ensure that your designated trust has all the necessary legal requirements structured if you choose to designate a trust as a beneficiary for your retirement account. You may choose multiple primary and secondary beneficiaries depending on your individual needs. Make sure that you keep these forms updated on a regular basis as life circumstances change. 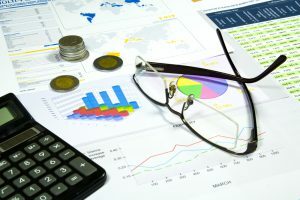 A new study conducted by Ameriprise determined that financial discussions within families generally go more smoothly than anticipated, however, there are unclear inheritance expectations that ultimately cause tension or even family drama. Up to 19% of American adults across the United States feel that it is uncomfortable or inappropriate to discuss estate planning with their adult children. Many of them do not want their children thinking about their death and this is one of the primary reasons why people avoid including inheritance and estate planning issues in their financial discussions. Make sure everyone is on the same page when it comes to future financial plans. There are three primary issues that can cause tension between families as it relates to inheritance. These are lack of communication, family drama and unrealistic expectations. Consider that many individuals expect to receive more than $100,000 as an inheritance from their parents, but the vast majority of people actually getting an inheritance are getting less than a $100,000. Up to 70% of individuals have not been given any clue at all about the money they can expect when a loved one passes on, generating further confusion and frustration that is unnecessary. The talk may be challenging to start, but consulting with an experienced estate planning attorney can give a better scope for what to expect and give you some guidelines for approaching this difficult situation with your loved ones. Talking about finances as well as estate planning and inheritance issues is important. When something happens to you, you do not want your loved ones to have the added frustration of trying to figure out your intentions or being confused about the goals of your estate planning. Consulting with a knowledgeable estate planning lawyer now can help you avoid family drama and carry out your wishes. Your estate planning documents will put together numerous roles where other individuals will step in and have responsibilities on your behalf. One of these is the executor. The executor is responsible for the gathering of information regarding your assets after you pass away, handling all tax responsibilities and then distributing those assets for you. 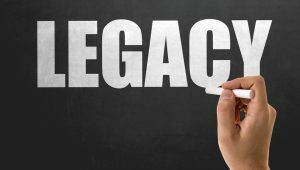 Besides the executor, however, there are several other people who might play a key role in determining how to handle your assets or estate plan while you are alive or after you pass away. You need to know the distinction and also ensure you have selected someone for each of these roles appropriately. This is a crucial step in comprehensive estate planning for your individual or business needs. A guardian is an individual who is responsible for the physical and regular care of your minor children if something were to happen to you. An agent, on the other hand, is a person who is appointed to manage your assets or make decisions on your behalf if you are unable to do so as a result of incapacitation or disability. A trustee, on the other hand, manages and invests trust assets by distributing them in accordance with the terms of the trust you created. He or she is also responsible for filing all necessary tax returns. 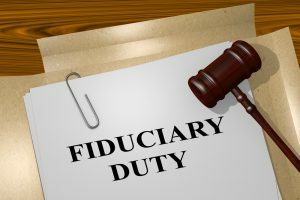 There may be multiple fiduciaries assisting with the management of your estate plan. Identifying the right people is extremely important as they should be both capable of handling this and willing to do so. Consulting with an experienced estate planning attorney can help you understand how these different roles will intersect and play a role if something happens to you while you are alive or after you pass away. 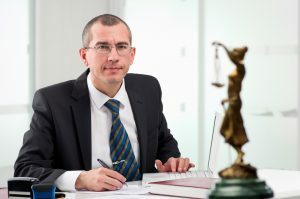 Consulting with an experienced business succession planning attorney is strongly recommended in the event that you have connections to another company. If you want to transfer your business to a successor or if you are getting ready to retire or slow down, it is important to identify the appropriate business succession planning process to make things as easy as possible on your successors as well as to minimize taxes. Most people put this process off because they assume their exit in the business is so far off they don’t need to think about it. However, a sudden event like a disability can happen at any time. Treating children who will not be involved in the business fairly. 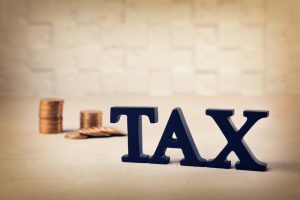 Transferring or selling the business to children without being hit by serious taxes. Selling the business to a key employee if that individual has no money. All these plans should be discussed well in advance with your business succession planning lawyer. Having the intention is one thing, but you also need documents ready to back you up if you decide to move forward with these plans. Legally valid documents can go a long way towards protecting you and helping you craft the transition most valuable to the business and to you. Consulting with an experienced attorney and identifying potential strategies such as a profit-sharing plan, a qualified personal residence trust or an irrevocable life insurance trust may all be beneficial tactics for identifying a way to pass on the business in a smooth manner. The business can otherwise experience significant interruptions or even face financial jeopardy if the succession plan is not identified by a knowledgeable attorney well in advance. 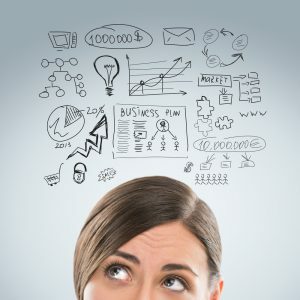 A lawyer can assist you with this process by sitting down and getting to know you and your individual business. After meeting with your estate planning, you’ll have a better sense of what you need to do in order to make the most of your estate plan. It’s critical that you follow through since your estate plan is only as valuable as the structure and the follow-up you implement. This means that if you have set up a trust, you need to fund it properly. You need to make sure that any property you have mentioned in your estate plan has the right titles, too. These might seem like small steps, but they actually matter a lot if something were to happen to you. Taking the right action now makes it easier to stay on top of the necessary changes in your plan overall, too. Ready to talk about how to make the most of estate planning? Schedule a consultation with a New Jersey estate planning lawyer now to learn more about what you need to know. Did You Know That IRA Assets Are Not Completely Protected Unless You Use a Standalone Retirement Trust? Without any advanced planning, your retirement assets do give you some protection against creditors, but it’s not comprehensive. 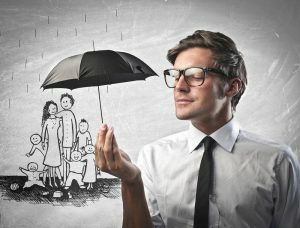 If you want to increase your overall asset protection, you need to consult with an attorney to figure out how to boost the protection of the personal assets you have worked so hard to build. A qualified retirement plan may be shielded from most creditors; however, it is not complete protection. A retirement plan provides you with the benefit of having a nest egg to save money for your future and most people are also aware that there is an additional benefit of qualified retirement plans that enables you to save money on taxes. However, many people don’t realize that retirement plans can also be used to, in some form or fashion, protect your assets from creditors. An asset protection strategy is important for all individuals and particularly small business owners. The exemption for retirement plan assets is unlimited under Federal Bankruptcy Law. This means that a small business owner may be able to protect a large deal of wealth inside a retirement plan. 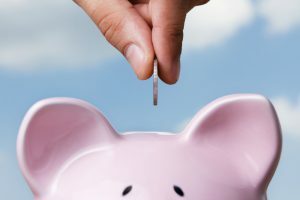 Retirement funds are protected in an asset protection plan in a variety of ways, depending on whether or not the plan is qualified and subject to the Federal Employee Retirement Income Security Act. 401(k) assets, for example, are protected ERISA, but your IRA assets may not be protected appropriately unless you use a standalone retirement trust that is put together by an experienced asset protection and planning attorney. Approaching the topic of death is never easy, but it might help to reframe the estate planning process by viewing it as your way to leave behind a legacy and a love note for your family. The truth is that you may get more peace of mind from knowing that you have taken the right steps to protect your loved ones if you were to pass away suddenly. It’s often hard enough for family members to go through the grief process, but that experience can be amplified when your loved ones are unclear about the intentions of your estate planning. Beyond serving as crucial legal documents, your will and trust documents can help you articulate your individual legacy and to communicate your concern and love for your family members. Unfortunately, most people don’t even realize the challenges that may arise without a will until it’s too late. Witnessing a friend or family member working through the will or other estate conflict can give you a firsthand perspective of all that can fall apart without proper planning. And yet, people don’t take the necessary steps because they don’t believe it will happen to them or because they assume it’s too complicated. Up to 60% of most adults in the U.S. don’t have a will. When it comes to Millennials, those numbers are even worse: only one in five has a will. A will is the basic cornerstone of the estate planning process, but it does not address what happens if someone becomes incapacitated while they are still alive. In the event of a sudden disability or an accident that takes you out of commission for making your own decisions for even a short period of time, your power of attorney documents can make things easier for your loved ones by informing them about which person is responsible for making those decisions. A family member seeing you unable to make your own decisions is an emotional process and one that you can make easier by articulating your concerns on paper well in advance. Since your loved ones will have enough to worry about during that time, make the process easier on them by meeting with your estate planning attorney today. If you ask any Millennial what’s on tap for them in the next several years, there’s a good chance they’ve got a list with all kinds of travel, graduation, debt repayment, and career goals. 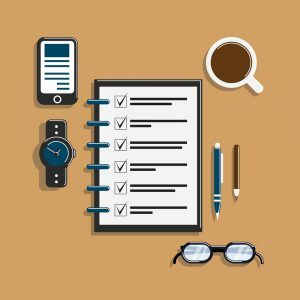 But one issue that does not come up enough in these “life” to-do lists is estate planning. In fact, since there’s such a perspective that estate planning only makes sense for older or wealthier individuals, estate planning may not be something a younger person considers at all until they are married or expecting their first child. One misstep for younger individuals that leads them to believe estate planning is something you only need to worry about in your 50s or 60s is the foundational view that estate planning is only needed when you pass away. That’s a big mistake. 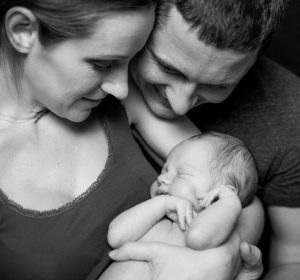 Whether it’s naming a guardian for your minor child or having a healthcare directive to enable someone else to make decisions for you if you become unable to do so, estate planning looks at the future, but the future of your life, too. Most people aren’t expecting a disability or accident in the same way they aren’t anticipating their own mortality at a young age. Just one car accident or medical diagnosis, however, can turn a person’s life upside down without proper planning. It generates unique legal issues and places undue stress on family members struggling to cope with all the changes. In some sense, the Millennial generation is more financially responsible than those in the past, perhaps because many of them are dealing with student loan debt that requires them to be at least aware of their financial situation. Many are interested in self-development and planning for retirement, which makes an excellent opportunity to approach estate planning with an open mind. If you have questions about the tools and strategies you could use as a Millennial, now is the time to start looking ahead. Contact an experienced New Jersey estate planning lawyer today. If you realize after the fact that you and your spouse did not have your account set up properly, all of the estate planning that you have done prior to that point may become invalid. If you have a will as well as a trust, bear in mind that nay beneficiary designations you have on separate accounts will override what your trust and your will says. It is simply not enough to set aside a meeting with an estate planning lawyer to talk over your options and to determine who you want your assets to be passed down to when it’s from your 401(k), IRA or from your life insurance policy. That’s because these companies keep th eir own records of your beneficiary designations. You’re still eligible to make your own decisions about who should receive these benefits should something happen to you. But all of the good planning in the world associated with your trust and your will can fall apart relatively quickly if you do not have these other elements in place. Make sure that you set aside time to analyze your beneficiary designations on all of these accounts on an annual basis. It is as simple as contacting the company and identifying your current beneficiaries. In the event that you need to update this material, you can use the forms provided by these companies. Make sure you also provide a copy of this information to keep one for yourself as one to your estate planning attorney. Your estate planning attorney can assist you in putting together a plan that is aligned with your individual needs as well as the beneficiary designations you have listed on these separate accounts. Many younger families put off the process of engaging in estate planning or consulting with an attorney because they think they are too healthy, too young or simply cannot afford it. Others may have trouble thinking about what might happen to their family members if something were to happen to them. This is particularly true of parents of new children. Consulting with a knowledgeable estate planning attorney will give you a place to turn when you have questions and ensure that you have an estate plan that is evolving with relevant state and federal laws as well as your unique family needs. 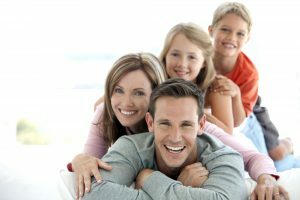 Major family events such as the birth of a new child, a divorce or a remarriage can all trigger unique estate planning consequences and having an attorney who is already familiar with you and your family can help you adjust quickly so that your family is always protected. Planning ahead for disability as well as other health insurance concerns are some additional benefits of estate planning that go beyond thinking about what might happen when you pass away.